It wasn’t always this way. From the mid-20th century up until the seventies and even into the eighties, American corporations shared a belief that they had a duty not just to their shareholders but to their workers, to their communities, and to their country, which helped them grow and prosper, along with our schools, our roads, and everything else. That created an extremely prosperous America for corporate America but also for American workers in the broad middle of this country. But over the past several decades, workers’ rights have been diminished, and corporate boardrooms have been obsessed, slavishly, to shareholder earnings. Bottom Line: Most historians who responded agree that Senator Schumer is on solid ground, but their caveats and the statements of the historians who strongly disagree should not be ignored, especially if we want to use this history to help formulate policy. Scroll down to see the historians’ statements in full. Senator Chuck Schumer delivered the above statement while discussing the Republican tax cuts; he charged that corporations are not using their tax savings to create jobs or pay higher wages, but are instead buying up their own shares. This can drive up stock prices by creating scarcity, and shareholders naturally love it. But the GOP’s tax cuts were granted, we were told, to create jobs, not merely to further enrich investors. Several historians responded by mentioning the stakeholder model that captured at least the imaginations, if not the actions, of many mid-twentieth century executives: “Two competing models of corporate ownership through stocks were evident in the twentieth century: shareholder and stakeholder. The former model asserts that the leaders of corporations must make decisions based solely on the best interests of people who actually own stocks, while the latter maintains that other interested parties like workers and their communities have an interest in corporate actions equal to those of shareholders” (Jason Russell). “Earlier in the twentieth century, some management scholars such as Peter Drucker argued that corporations had different stakeholders, including the community, employees, and consumers” (Gavin Benke). “They’ve always cared about the bottom line, but back then felt compelled to consider the needs of multiple ‘stakeholders’” (David B. Sicilia). 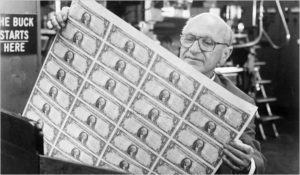 Milton Friedman argued in the New York Times in 1970 that a corporation’s sole responsibility is to “increase its profits,” giving permission and intellectual heft to executives who, in the midst of globalization and declining profits, wished to focus on shareholders rather than stakeholders. Friedman was objecting “to a very real sense, both within and beyond business leadership circles, that corporations had a clear social responsibility” (Benjamin Waterhouse), but Friedman did not limit his thinking to profits and business culture: “He argued that ‘the cloak of social responsibility … does clearly harm the foundations of a free society’” (David Hochfelder). And even further, he accused executives who took up social responsibility of “preaching pure and unadulterated socialism” and being “unwitting puppets” of the collectivist left. This is the myth of a golden age of “corporate liberalism.” While it is true that during that time period (circa 1945-1970s), CEOs were more likely to espouse a belief in “stakeholders” (beyond shareholders), it was mostly public relations. Big businesses then had to deal with labor unions (35% of workforce in 1953) but despite the positive PR statements about “caring,” they followed the bottom line to right to work states. Corporations, and those southern and western states, were reacting to economic incentives. Side note: Calvin Coolidge’s famous statement that “the business of America is business” is from a 1925 address. In it, he stated that business saw its mission to make money but so much more than that. Business historians have dubbed the 1920s as the high tide of corporate liberalism and corporate welfare liberalism. Posting it to 1945 to 1970s is convenient for Democrats (they held the Congress almost the entire time) but misleading. It is true that during the 1980s, during the shareholder revolution, corporations became more focused on the interests of the shareholders and on maintaining a high stock price. Earlier in the twentieth century, some management scholars such as Peter Drucker argued that corporations had different stakeholders, including the community, employees, and consumers. However, it would be wrong to look back on the mid-twentieth century as period without discord in American business. Many corporations, for example, were hostile to labor unions and consumer advocates, such as Ralph Nader. The main explanation Schumer gives for the postwar period is a myth. He seems to suggest that there was less concern for profits in this period, that CEOs cared more about their workers and community. He makes it seem a moral or personal decision, rather than acknowledging the key factor—unionization tamed some of the rapaciousness of capitalism in this period and created a middle class. In addition, Cold War policies created a kind of bargain for the government-led expansion of U.S. based capitalism abroad, and subsidies to major U.S. corporations through that system. Postwar economic growth was built on low-cost energy, from a steady supply of cheap oil. So corporations’ profits were subsidized through the U.S. government through defense spending, and unions were able to take some of that growth and deliver it to the creation of a middle class. In this context, corporations were taxed and this benefited communities who were able to use it for infrastructure. Corporations engaged in a PR campaign to gain the PR benefits of that dynamic, but let’s not suggest that they were morally invested in it. While they conceded to unions in the north and Midwest, beginning in the late 1940s, corporations, including the giant auto companies and electrical companies, started to relocate from unionized areas of the countries, toward non-union south and west. Ask textile communities in the North how much corporations cared about the devastating effect of relocating. Ask African-Americans in Detroit how many of their jobs, newly won, were lost to corporate decisions of automakers to relocate jobs to the South. And ask Schumer what the Democratic Party did to stop this in this time. 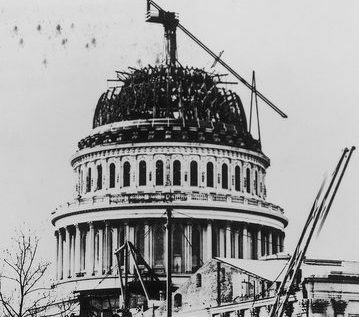 Instead, the party at the time sought to grow the economy without any intervention in this dynamic, despite the attempt of unions to gain some control over these relocations. The last sentence, (“But over the past several decades, workers’ rights have been diminished, and corporate boardrooms have been obsessed, slavishly, to shareholder earnings.”) is true, but it’s passive voice. We tell our students to watch for passive voice, because it’s usually skating around who is the agent for this. I would suggest that even when they had power in Congress or the presidency, Democrats did little to nothing to secure workers’ rights. They might have worked to overturn Taft-Hartley, which was the main impediment to unionization, especially in the South. Schumer is seeking to blame moral failure of businessmen to gain some cred from labor unions (traditionally the way it works in election season) but by casting this as moral failure, he avoids the way that political will (including the Democratic Party’s deal with corporations and financial industries) conditioned what is possible. Schumer’s statement is more or less true. Corporations often felt some obligation to their workforces and communities from the late 19th to late 20th centuries. Electric utilities had employee and customer stock ownership plans. Industrial firms provided health clinics, built parks and schools, financed mortgages for workers, etc. Although the film as a whole is polemical in nature, the opening sequence of Michael Moore’s Roger and Me shows how General Motors thought that it had a responsibility to the citizens of Flint, Michigan, during the 1950s and 1960s. A good inflection point for the erosion of welfare capitalism was the publication of Milton Friedman’s article in the New York Times Magazine on 13 September 1970, entitled “The Social Responsibility of Business Is To Increase Its Profits.” In that article he argued that “the cloak of social responsibility … does clearly harm the foundations of a free society.” While most of corporate America has come to agree with Friedman, the institution of welfare capitalism continues on in some ways in the form of benefit corporations whose charters permit some public good to be pursued alongside the profit motive. 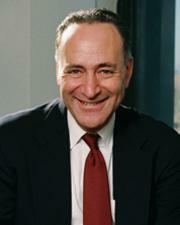 Senator Schumer’s contention is essentially correct. Two competing models of corporate ownership through stocks were evident in the twentieth century: shareholder and stakeholder. The former model asserts that the leaders of corporations must make decisions based solely on the best interests of people who actually own stocks, while the latter maintains that other interested parties like workers and their communities have an interest in corporate actions equal to those of shareholders. The stakeholder model was most evident from the start of the New Deal into the 1960s. The common perception is that an emphasis on shareholder rights began in the late 1970s, but interest in it increased in the 1960s as corporate profits margins tightened. This coincided with the decline of Keynesian economics and the rise of neo-liberal economics, and shareholder rights were considered the paramount concern of corporate management by the 1980s. One important point is that corporations thought in wider terms about stakeholders because regulations compelled them to do so. For example, laws like the Glass-Steagall Act, the Wagner Act, and the Fair Labor Standards Act established certain parameters for corporations. There were companies that voluntarily practiced welfare capitalism during the twentieth century, but adoption of a more inclusive stakeholder model often involved regulatory and legal compulsion. Sen. Schumer’s comment captures the spirit of an important transformation in the second half of the 20th century but should not be taken too literally. His statement centers on a claim about motive (“a shared belief that they had a duty”) that is difficult to prove. But corporate behavior, especially toward workers and communities, certainly changed when and how Sen. Schumer suggests. The U.S. economy grew robustly 1945-1973. Big business leaders recognized advantages to negotiating with organized labor, and some of the more progressive and foresighted firms (like the Cummins Engine Co.) made significant investments in local communities where they operated. They’ve always cared about the bottom line, but back then felt compelled to consider the needs of multiple “stakeholders.” By the 1970s, profit pressures from foreign competition, environmental and workplace safety regulations, and rising energy costs—buttressed by a new “shareholder value” ideology—compelled firms to search for profits wherever possible, and many used aggressive new legal and managerial tactics against union organizers and members. The recent wave of globalization added more competitive pressures. Finally, Sen. Schumer is correct about the wave of stock buybacks, and about corporations contributing significantly to roads and other public goods in earlier decades. They did so to comply with the much more progressive tax code at the time, though some may have felt a sense of civic duty. The 1970s corporate battle against labor organizing in the 1970s, set in the context of the broader economic changes I described, is documented in Lane Windam’s 2017 book, Knocking on Labor’s Door: Union Organizing in the 1970s and the Roots of a New Economic Divide. Broadly speaking, Schumer’s claim reflects the way business historians summarize changes in attitude among corporate managers and leaders. Naturally, it is impossible to say precisely what “corporate leaders” believed at any point, because that group is large and reflects many different opinions. There are plenty of counter-examples of individual corporate leaders who did not embrace a broad view of corporate social responsibility. However, historians largely generalize in the same way Schumer did. When Milton Friedman published a famous New York Times op-ed in 1970 declaring that “the social responsibility of business is to increase its profits,” he was responding to a very real sense, both within and beyond business leadership circles, that corporations had a clear social responsibility to workers, community, and society. Business historians also largely agree that the fixation on shareholder value is a function of the late-20th century, particularly after the economic slowdown of the 1970s.